The Default Region is the region selected by default when you create environments, import VMs, upload assets, create VPNs, and generate public IP addresses. 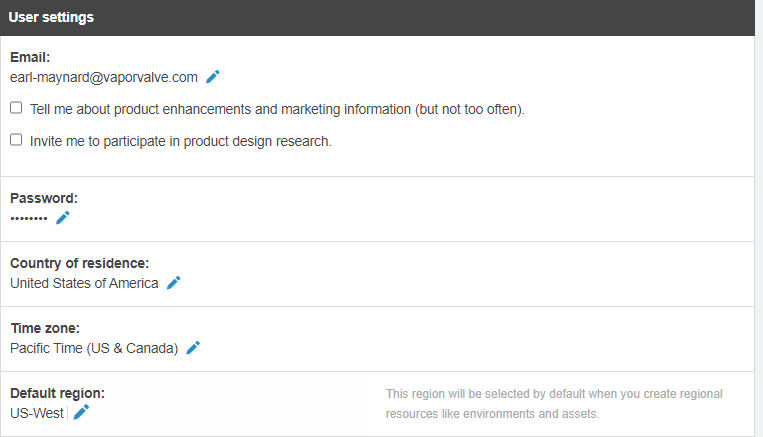 During any of these actions, you can override the default selection by choosing a different region available to your account. In the User Settings section, click (Edit) next to Default region. 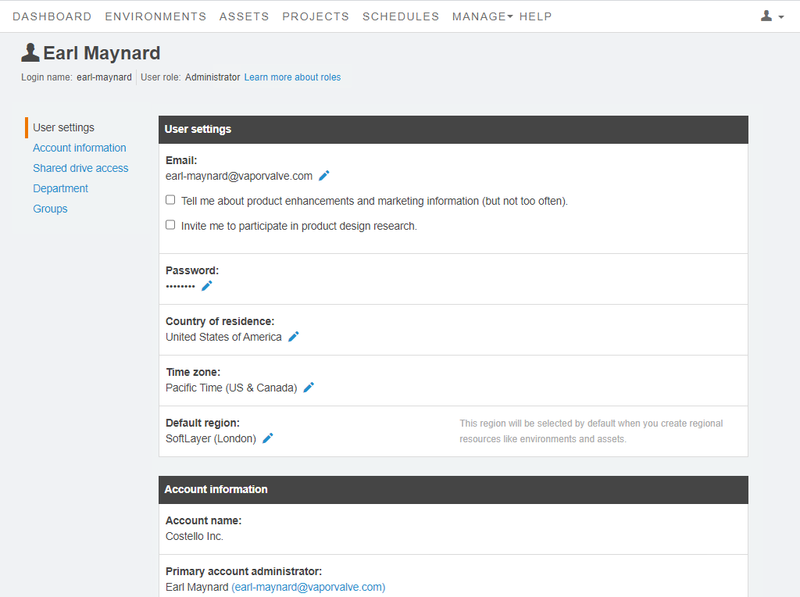 Administrators can edit another user’s default region from the Edit User page. For more information, see Editing users.